Well, yes, we finally got our “3ds Max Projects” ordered on 3DTotal and we are eager to share with you the first impressions. All the more there are lots of interesting things to talk about. 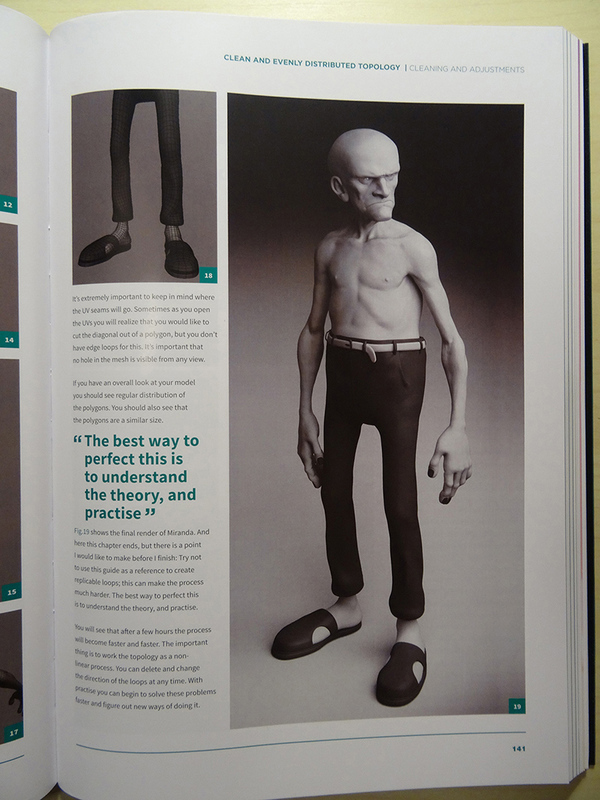 We decided to buy this book after reading many reviews from leading and well-known 3D-artists, such as Marek Denko. Of all people he knows exactly what does creating a masterpiece in 3ds Max mean. As early as glancing over the book at the post-office WOW effect caught us fast: quality paper, nice typographic layout and great illustrations. At first sight, the book is worth all the money. There are also good step-by-step illustrations – if English is not your native language, you may just look at the pictures and get a lot of information. This is very important for a useful guide, do you agree? Besides, key moments are tagged with quotes. • Also authors provided an opportunity to view screenshots to the articles on the internet. Readers can find them on 3dtotalpublishing. 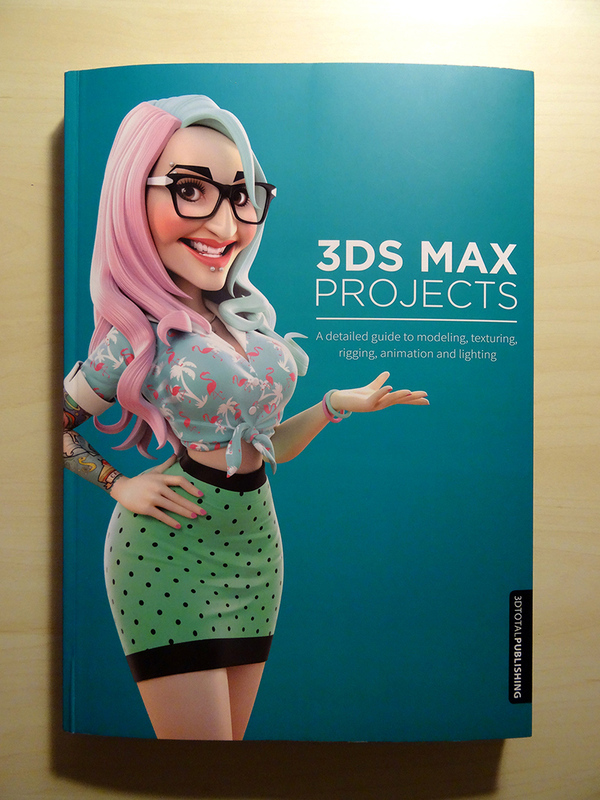 • “3DS Max projects” wasn’t written by a single person, it is a collection. Each article has its own author, but this in no way affects the quality of the book. Each chapter completes and continues the previous one. 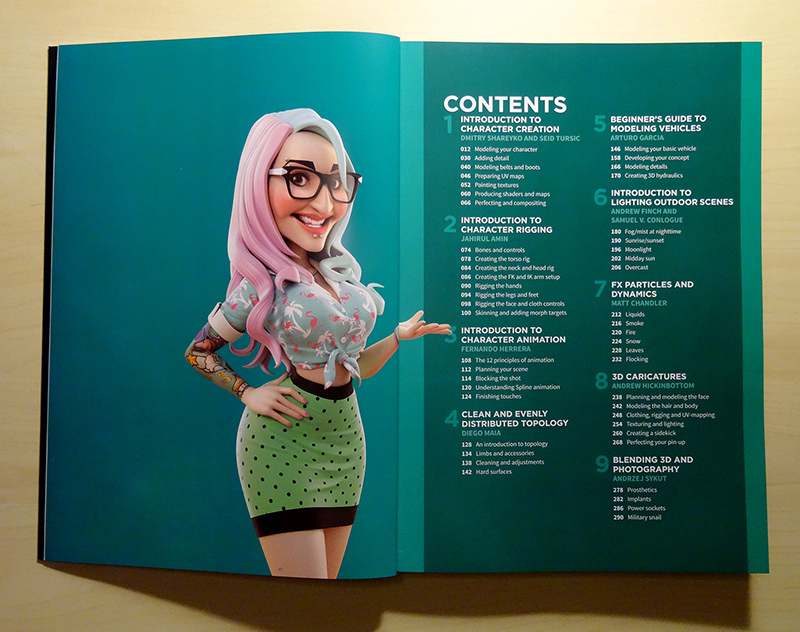 We would especially like to highlight the first three articles: “Introduction to character creation”, “Introduction to character rigging” and “Introduction to character animation”. 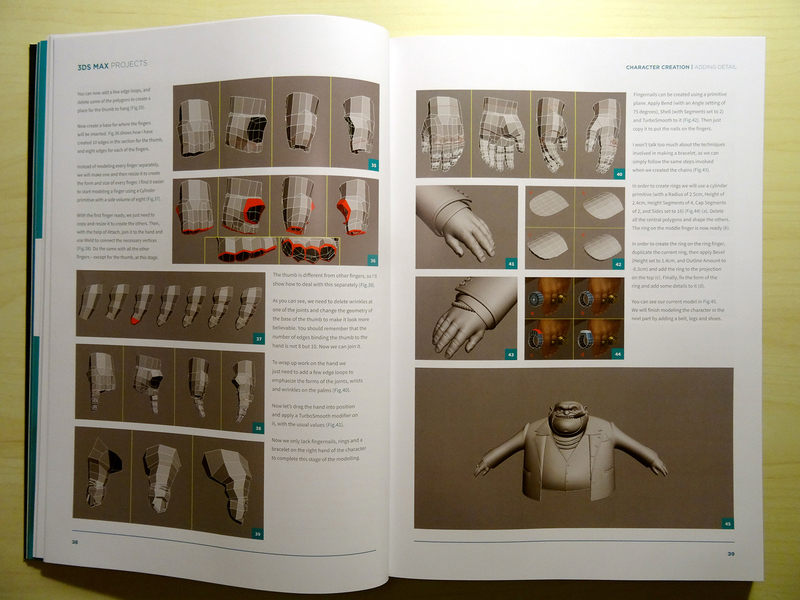 These occupy a large part of the book and being written by different authors the articles are connected by one single character that goes through all stages of creation – from modeling and texturing to setting a pose and animation. • The modeling process is presented in great detail – from basic shapes to small details of clothing and accessories that complement the image. The fact that topology is performed taking into account the following setup and animation is especially important since beginners should consider this peculiarity. • Special attention was paid to those details that make a character distinctive and memorable. Thanks to these, when we see a complete character for the first time, we may already have a lot to say about his or her nature and manners. 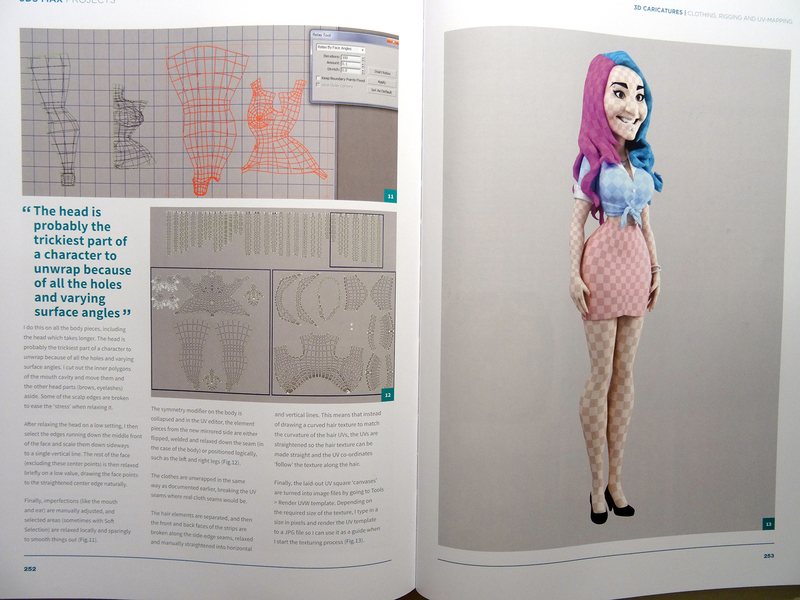 • Principles and features of working with model are described in the article “Introduction to character rigging” – from cutting character to pieces at the very beginning to face rigging, clothes folds rigging and skinning. 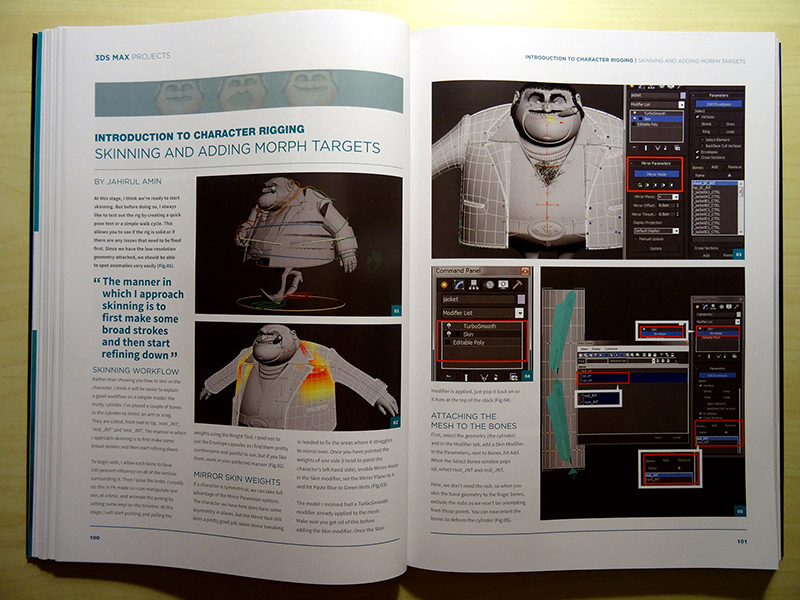 • In the article “Introduction to character animation” Fernando Herrera shares his approaches and work techniques. 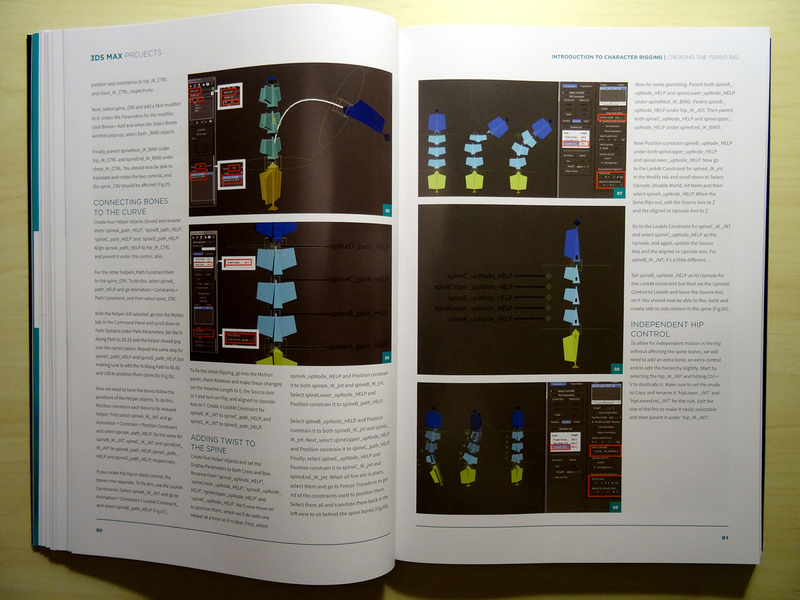 All stages and principles of animation are described in detail. Often novice animators overlook such things like detailed perspective and scene planning, as well as distinctive movements and rhythm. Although this stage is very important if you want to obtain an impressive result. Thanks to these materials 3D-beginners can get valuable knowledge – understanding of principles and complex process pipelines on a concrete example. 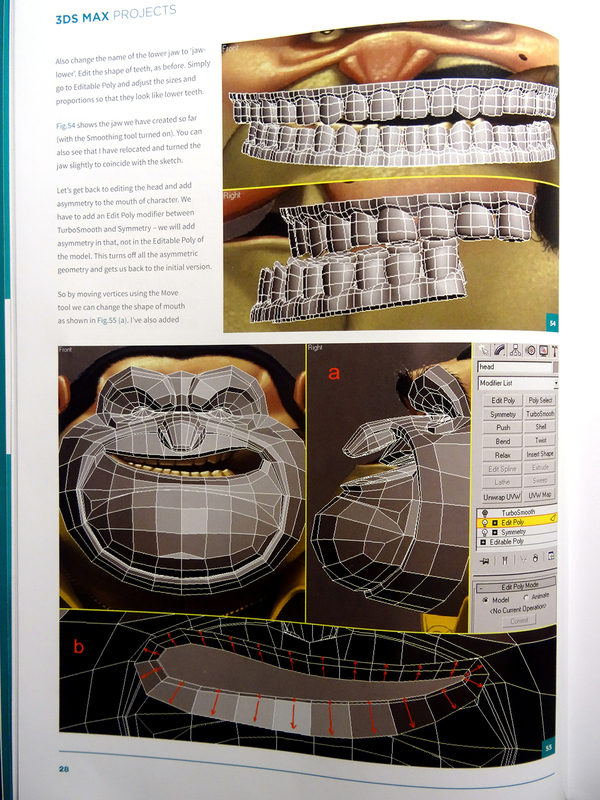 In the chapter “Сlean and evenly distributed topology” Diego Maia goes on with the problem of correct topology for animation that was brought up in the first part of the book. Efficient and fast work of animator often depends on modeler’s properly structured topology. Diego emphasizes that correct topology may be useful not only in animation but also in other fields, even in high-poly modeling and digital illustration. In addition, this information is useful for various purposes – if you understand it, you can apply it when working with any 3d software. He shows a detailed process of character retopology and gives important advice on modeling hard surfaces. And the most important: “The best way to perfect this is to understand theory, and practice”. The fifth chapter is dedicated to our favorite topic – modeling techniques (“Beginners guide to modeling vehicles” by Arturo Garcia). Here we’re designing an excavator, trying to repeat 2D concept of Yun Ling. It’s worth writing a separate book. Nevertheless the article is very informative. Arturo presents here the entire working process, explaining the creation of each detail in 3d Max. 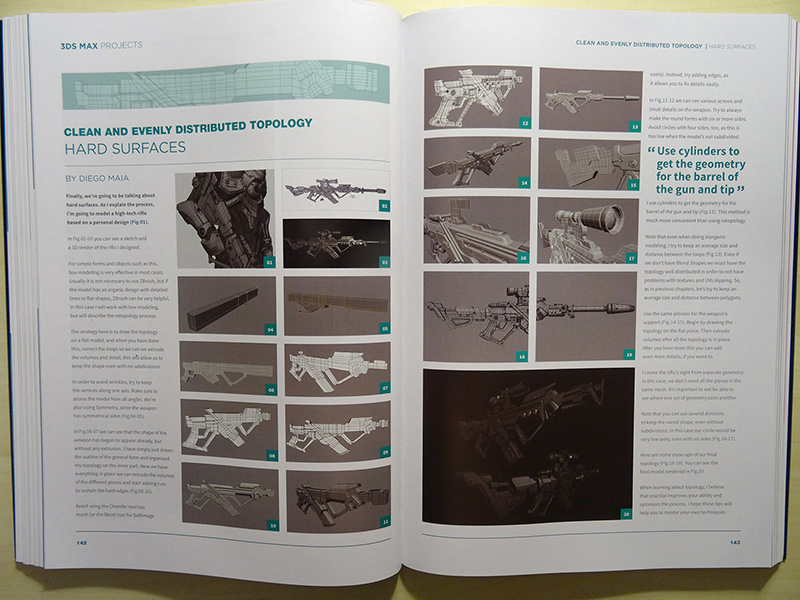 All features of 3d Max, used for working with modeling techniques, are also described in this chapter. In the chapter “Introduction to lighting outdoor scenes” readers will find both classical techniques for working with lighting and useful tips and tricks that may be interesting not only for beginners. In the chapter “FX particles and dynamics” Matt Chandler introduces the most popular and important effects that you can create in 3d Max. This article will be of interest to those who already have experience with this program and are familiar with some of its plug-ins and other programs for particle simulation and creation of visual effects. This article describes how to work with liquids, creating smoke and fire, as well as snow and leaves. The final chapter “Blending 3d and photography” should be interesting to everyone since many of us have to face such tasks. Andrzei describes working process giving concrete examples, such as prosthetics, implants and power sockets. In our opinion, “Military snail” turned out best. In the end we prepared for you a short video of book paging – home tablet shooting, sorry for the color.